To all fathers, everywhere, Happy Father’s Day! And to my own, thank you for teaching me the tough lessons, and the easy (read: fun) ones; thank you for showing me (with Mom’s help, of course) what family means and should be; and thank you for being someone to look up to and admire. I love you very much, and I wish I could be in Maine celebrating with you! Hard to believe this was almost four years ago! 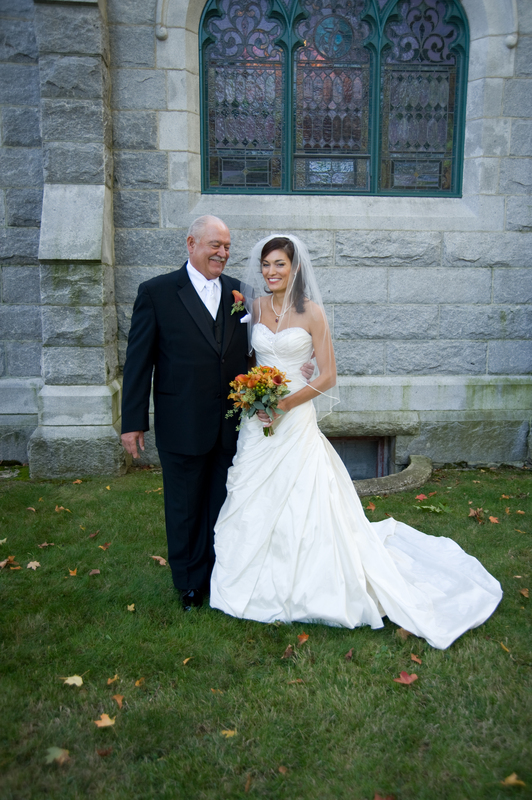 There are several great ones, but I think this is my favorite wedding day picture of my dad and me. Thanks for all you do, Dad! First: On Bees and Big Business, this article grabbed my attention immediately because I tend to get pretty heated about the importance of (and threats to) the honey bee population. Nick and I have (casually) discussed trying to keep a colony of our own, particularly as we start our garden. 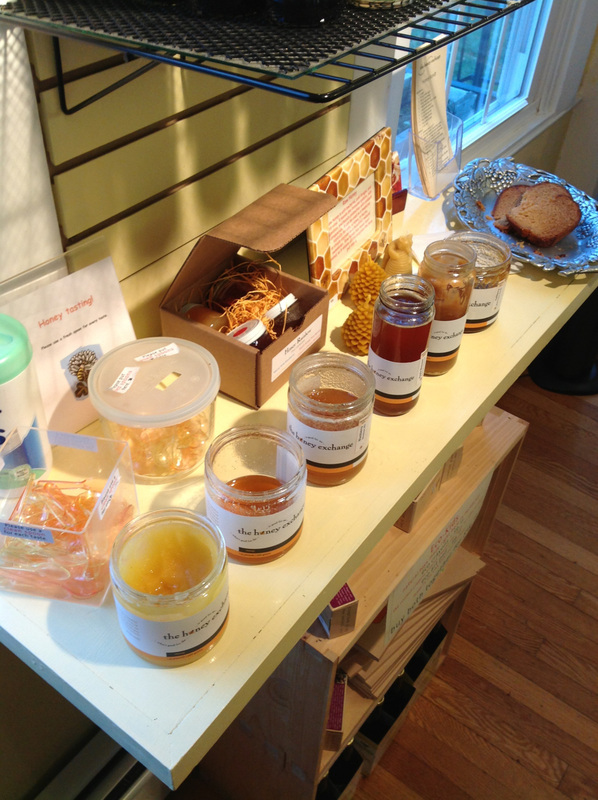 For more information on bees, bee keeping, and honey in Maine, I highly recommend a visit to The Honey Exchange in Portland (I also wrote a post about the shop some time ago, which you can read here). Second: On writing in Maine, which I found to be an amusing commentary on the author’s personal journey and writing experiences – as well as being founded on an inarguable truth: the state of Maine simply inspires the written word. How could you live there and not be compelled to write (or find some other creative outlet)? By the way, readers, did you know that today is also National Lobster Day? If it were me, and I was in Maine, I’d be picking up some fresh lobster to share with Dad! Categories: Holidays, Play | Tags: Father's Day, honey bees, Maine, The Honey Exchange, writing | Permalink. Since beginning this blog, I regularly receive cookbooks by Maine authors and organizations, about Maine food and Maine food traditions, as gifts. Most recently, at Christmas, I received as many as four or five new “Maine” cookbooks. 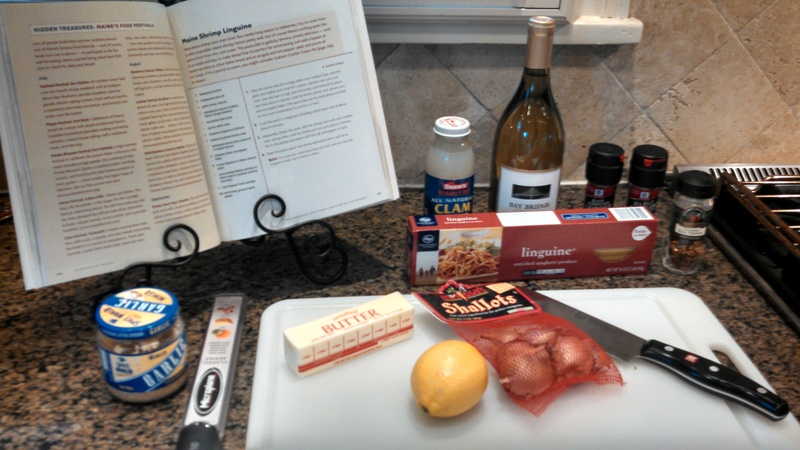 Today, I’m bringing you the first “weekly recipe” from one my new books, Dishing Up Maine, by Brooke Dojny – Maine Shrimp Linguine. Yum! I love pasta, seafood, butter, and white wine. Bingo! Therefore, this recipe was a guaranteed winner for me unless I did something horribly wrong in the cooking process (luckily for both Nick and me, all went smoothly). Cook the pasta in a large pot of boiling water, until al dente. Meanwhile, reheat the sauce and add the shrimp. Cook over medium heat, stirring often, until the shrimp just turn pink, about two minutes. Stir in the parsley and season with salt and pepper to taste. Drain the pasta, spoon the shrimp and sauce over it, and serve. 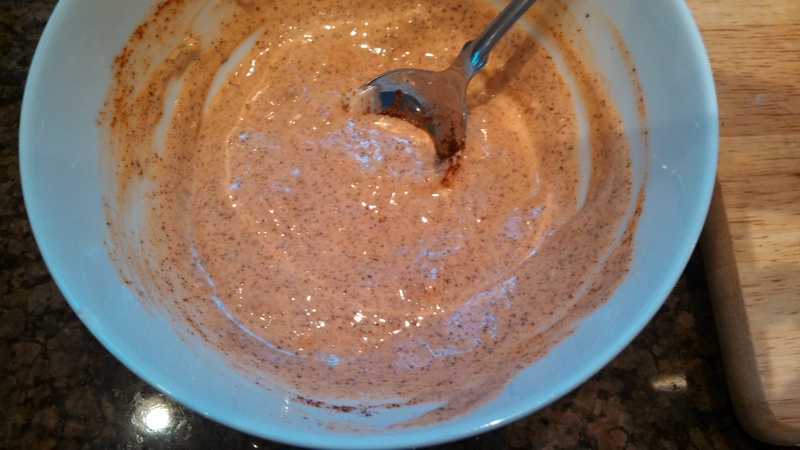 This recipe is pretty easy and quick, and uses many ingredients I usually already have on hand (I’m not sure what that says about the health meter of my kitchen, though). 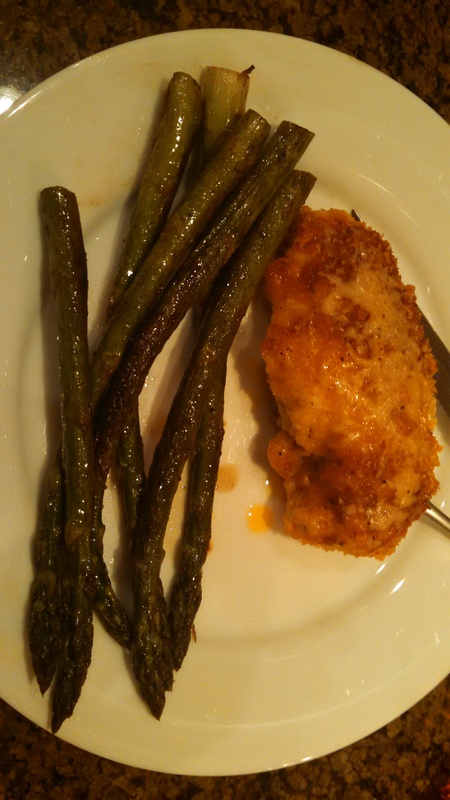 We both enjoyed it – and adding a side salad is really all you need for a complete meal! 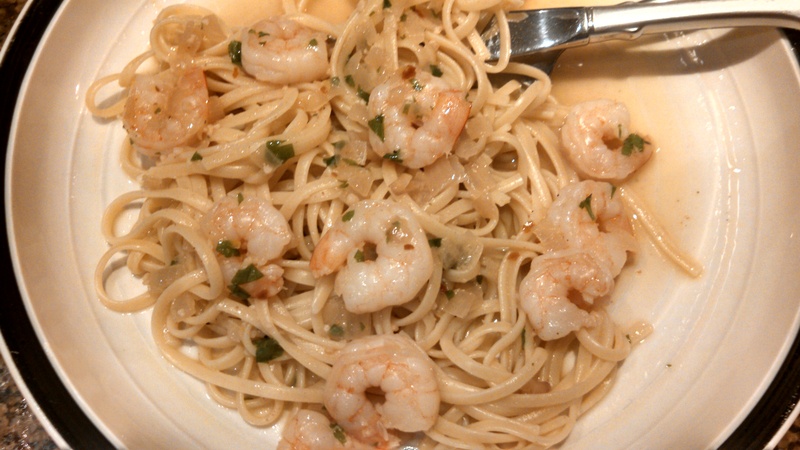 Categories: Eat, HoME Grown, Weekly Recipe | Tags: home cooking, linguine, Maine, pasta, recipe, shrimp | Permalink. With the Old Port Festival in full swing this weekend, visitors to Portland, Maine are presented with the perfect opportunity to patronize The Holy Donut at its Old Port location, 7 Exchange Street. And I can assure you, you won’t leave disappointed (or hungry). That is, if you can get there before the donuts run out (they are wildly popular). Side note: I’ve had an ongoing, internal debate throughout the writing of this post about whether I should write “donut” or “doughnut.” As the holder of a degree in English, the stress of not using the dictionary-approved spelling of “doughnut” is no small matter – but, I’ve decided to go with “donut.” For all of the obvious reasons – such as matching the business name. My first Holy Donut experience was last November, while Christmas shopping in the Old Port with my husband, my mom, and my sister. There is so much to love about this business (I learned most of what I’m about to share with you from their website, and I highly recommend checking out their videos), and I most admire the fact that it’s family-owned, they exhibit a clear dedication to giving back (please see their ‘Recipe’ page for notes about giving to local fundraisers and promoting bicycling), and they are almost religiously (pun intended) committed to sourcing quality ingredients. What makes The Holy Donut’s offering unique is the inclusion of potato in their donut recipes (including some sweet potato flavors), which adds a lightness to the end product – these donuts quite literally melt in your mouth. The use of this ingredient honors the (predominantly) northern Maine tradition of including potato in donut dough (or should I say “do”? Oh jeez), and it also supports the Maine agriculture industry, of which potatoes are the largest crop. And we all know how much I love potatoes… and how much I like to promote local business supporting other local business. Perhaps most importantly, though, from a consumer-perspective, these donuts are delicious. I had the pomegranate-glazed flavor, and it was nothing short of spectacular. It is probably for the best that I live in Georgia – far from either of the two Holy Donut locations. But if you’re reading this, and you live in southern Maine, what the heck are you waiting for? Make your Sunday even more enjoyable. Go get a donut you can feel good about. Categories: Eat, HoME Grown | Tags: donut, doughnut, Maine, Portland, potato, The Holy Donut | Permalink. I’ll just go ahead and start by saying: this recipe was outstanding. No need to read my entire post to find out! 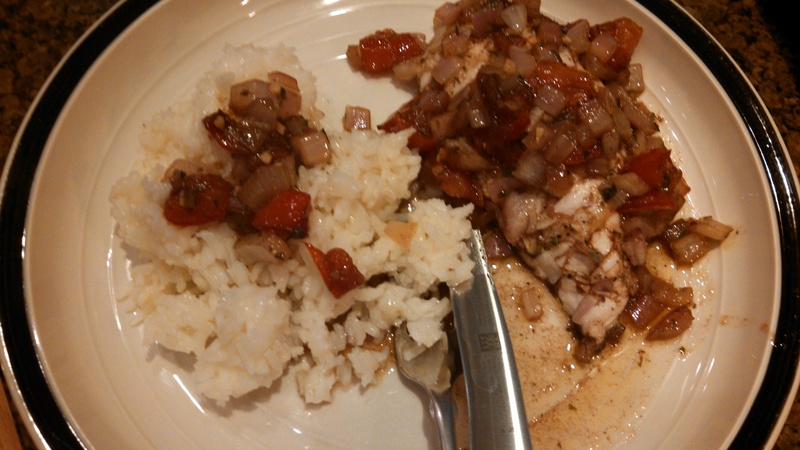 If you like fish, I highly recommend it – and really, any white fish would work. It is from the Maine Summers Cookbook, and the back story to its creation was the need for a Mexican-style dish for a Cinco de Mayo party. This recipe serves 6. 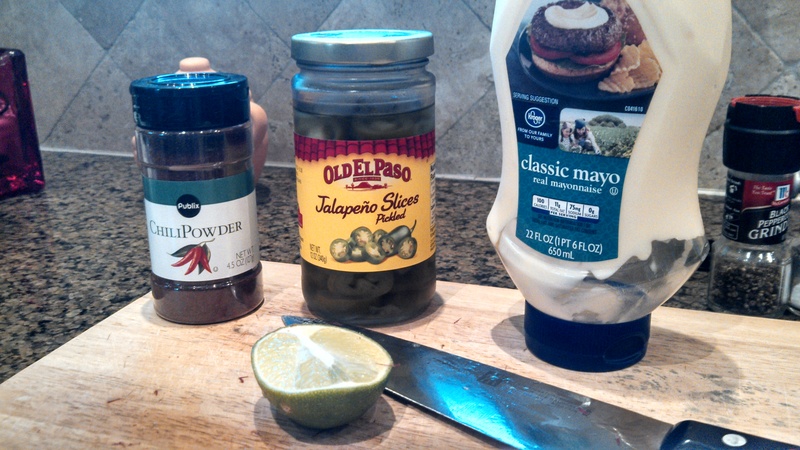 To make the tartar sauce, whisk together the mayo, chili powder, jalapeno, lime zest and juice, and garlic. Refrigerate until serving. 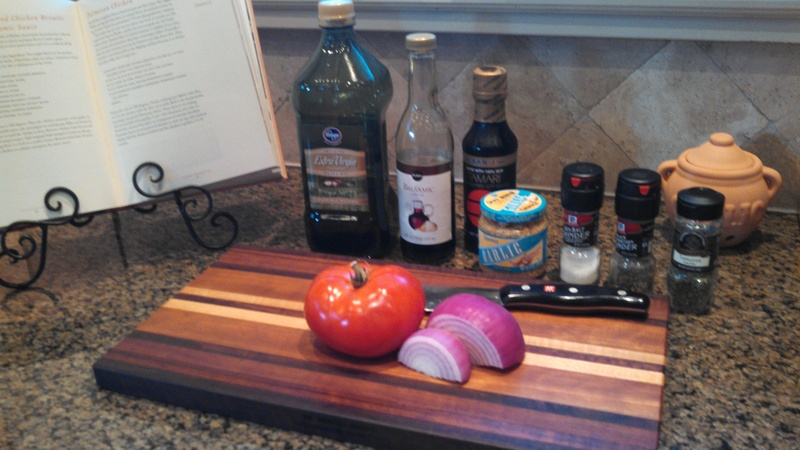 Cut the cod fillets into serving size pieces. 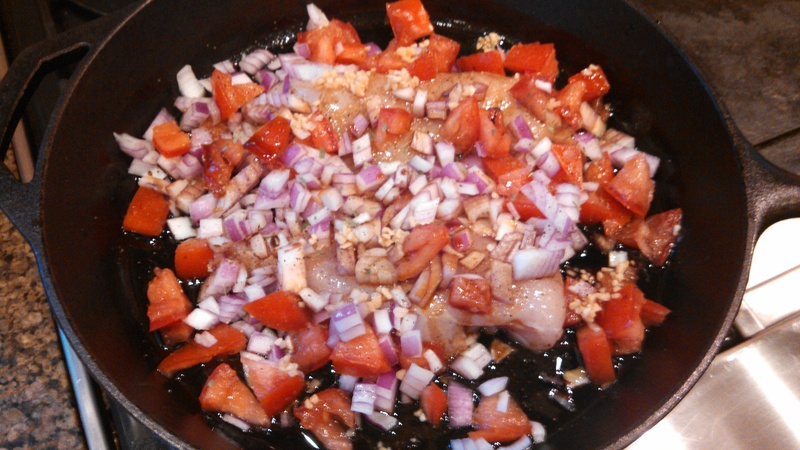 In a heavy skillet, heat enough canola oil to be 2 inches deep and not overrun the edge of the pan when frying the fish. 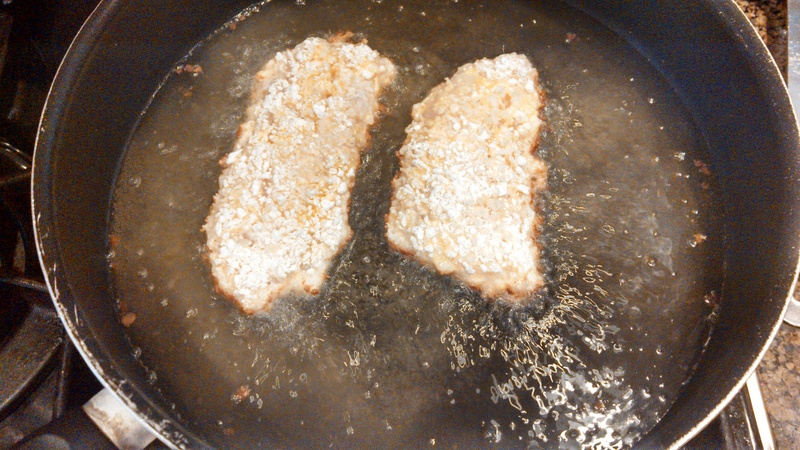 Combine equal parts panko and coconut and roll the cod in the mixture. 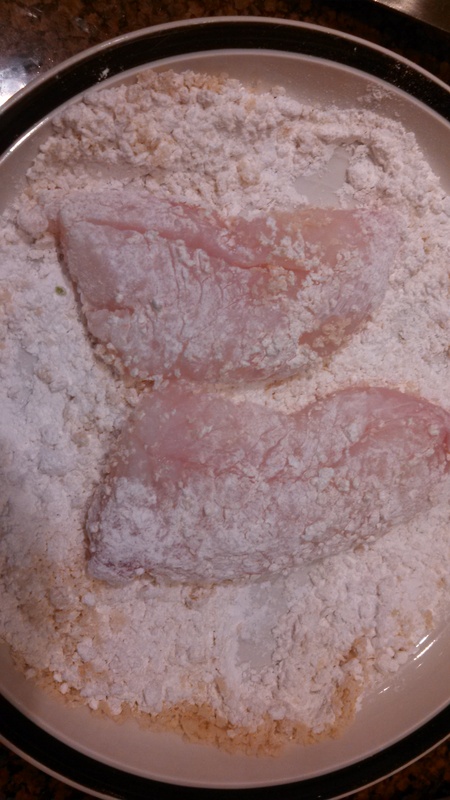 Dredge the cod in flour and dip in the beaten eggs. Fry the cod in the hot oil until golden and cooked through, turning the fish to brown both sides. I didn’t have quite enough oil (oops! ), but it still worked out very well. The cooking time does vary depending on the thickness of the fillets – mine went pretty quickly – just a few minutes per side. 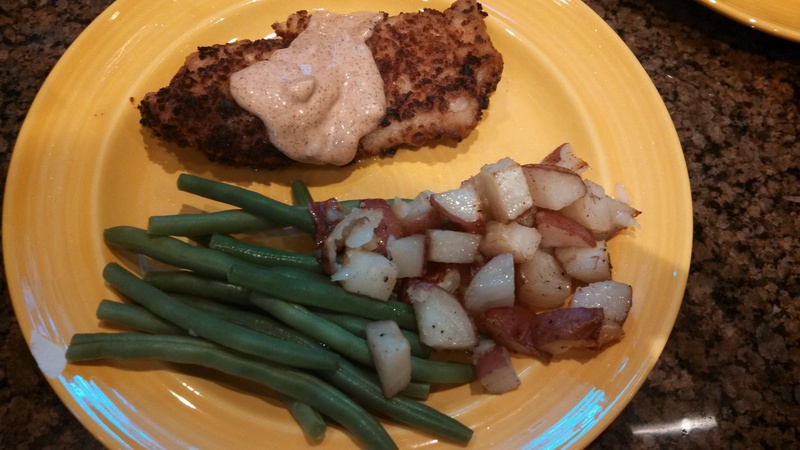 I served the cod with green beans and roasted potatoes, and both Nick and I loved it. I hope you try it and enjoy it, too!